Note: The faults listed above are the most common faults we have found with these units but is not a complete list of possible faults. When carrying out the ABS repairs to these ABS pump units we always look for flaws in the original design, such as the common failing internal G201 Brake Pressure Sensor Fault. Not only do we repair the fault, but we modify the unit to ensure that the design fault has been permanently rectified to ensure complete peace of mind that the unit will not fail again in the future. – We give all our customers a Lifetime Warranty. 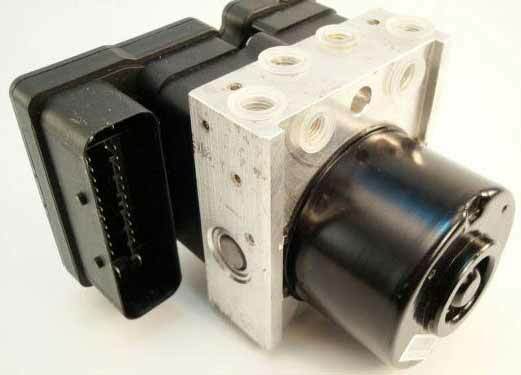 This type of ABS Module is fitted to a wide range of vehicles from all makes. Below we have listed the common vehicles we have seen this type of unit fitted to. Ford KA Peugeot 207 Suzuki Alto & Many More..
Are you able to recondition a ABS Unit, from a 1995 VW Golf VR6, problem is the ABS light comes on and stays on , randomly, about 30%. Other times the ABS light comes on, then goes out and stays of , as normal. This module is a very common failing part and years ago we would see sometimes 20-30 of these particular units each week. We have a full test and repair available on this module and have sent you an email with pricing and information. We’ve sent you an email now, if you can kindly respond with your part number we can then quote accordingly. i have a citroen c3 diesel the abs ecu has failed.it is a – ate unit part no 10.0970-1134.3.
could you tell me how much a exchange unit will cost or a repair. We’ve sent over an email now for further information about the fault codes you are experiencing. If you can respond to the email we will then be able to quote accordingly. option for repair/ replacement price please? We have seen this particular fault before and were able to repair it. I have sent you an email with full information and pricing. I have a 2010 mazda 3 with fault code c002 – 01C . How much are your self programming off the shelf replacements please?